This shrub will bloom from early summer through late fall. The very fragrant light purple to orchid flowers, with orange throats, are held on upright panicles. 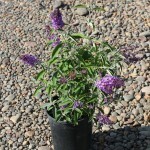 Although called Butterfly bush, it is also attractive to hummingbirds. This is a sterile selection that originated in Arkansas. 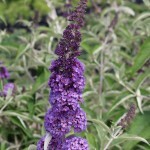 It responds well to heavy pruning, as it flowers on new growth, much like a rose. It grows best in full sun in a well-drained soil.